Republicans not expecting the return of filibuster wars. 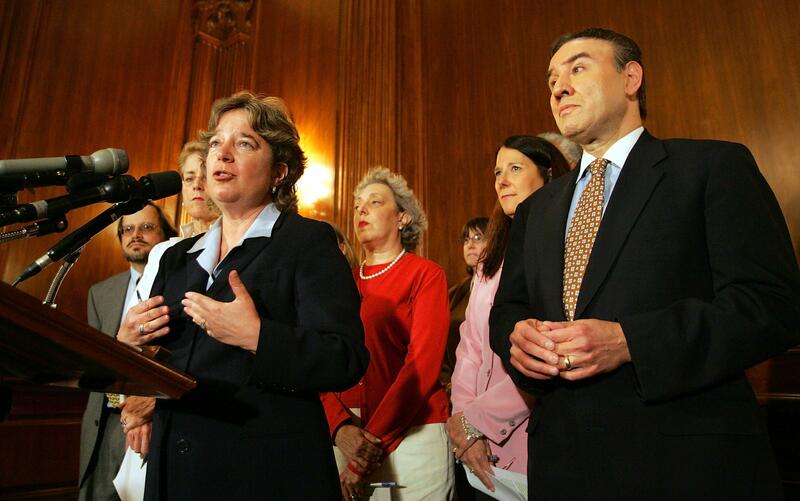 Nan Aron, president of the Alliance for Justice, which lobbies to confirm liberal judges, speaks about the retirement of Sandra Day O’Connor, on July 1, 2005, in Washington, D.C. Now, Aron is pushing for the additon of Patricia Millett to the D.C. Circuit. After the two failed cloture votes on the nominees for the Federal Housing Finance Agency and the D.C. Circuit, I asked Mitch McConnell’s spokesman Don Stewart whether Republicans expected to hear more talk of the nuclear option. He was skeptical. Not long after, Nan Aron made my job much easier and penned a column attacking the filibuster of Patricia Millett, as well as the idea that the D.C. Circuit could be reduced. It is the absolute obligation of Congress and the president to ensure that our judicial system is healthy and fully able to do its job. And if one political party is willing to prevent that from happening by abusing the rules of the Senate in the name of naked ideological warfare, then senators concerned with their duty will be left with no choice but to change the rules. That sounded a lot like Aron setting up the iron cage for another filibuster fight.